It's no longer breaking news that medical practices across the country are struggling to keep pace with collecting rising patient payments in the era of high deductible health plans (HDHPs) and rising out-of-pocket expenses. A recent athenahealth network study, for example, found that practices collect about 40 percent of patient balances at the time of service when patients owe less than $35, and just 6 percent of what they're owed when the patient's balance is over $200. Couple that with the fact that 30 percent of patients leave the office without ever paying their bill and 60 percent of all patients never pay their medical bill once they leave the office and it's clear that providers need a new approach to managing the patient revenue cycle. Patients represent the most difficult demographic to collect from and in an era of rising healthcare consumerism, are much more cognizant of the cost of care and their choices on who should administer that care. Patients are also beginning to expect cost of care estimates both before, at, and after the point of service, and are demanding more convenient ways to pay for the cost of care - all factors that feed into the notion that the psychology of patients is changing and providers would bode well to respond to that change by re-evaluating their existing patient revenue cycle strategy and implementing changes that speak to these behavior shifts. The simple fact of the matter is collecting money from patients once they leave the office is expensive, especially when a balance may be owed post insurance claim adjudication. That's why so many medical providers are evaluating revenue cycle solutions that can capture a payment-on-file at the point of service to cover these balances thereby lowering accounts receivable (A/R), days in A/R, and the overall cost to collect. 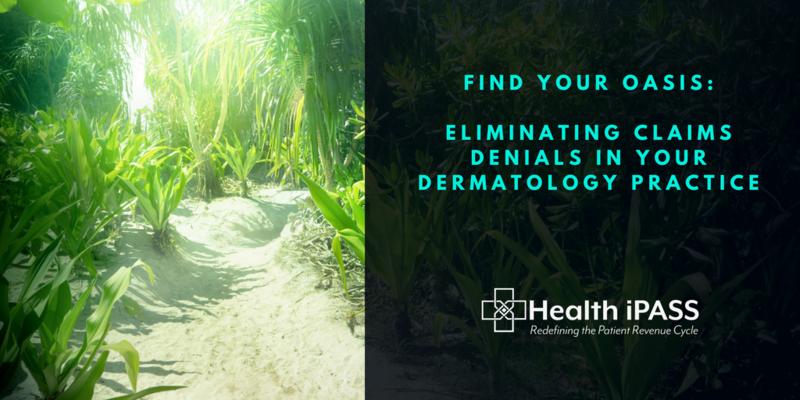 Since dermatology medical providers have one of the highest out-of-pocket cost estimates for patients, the need to modernize the patient revenue cycle through automation, higher levels of price transparency, and the ability to leave payment-on-file is particularly acute. That's why we will be attending the annual Association of Dermatology Administrators and Managers Conference this week in Washington, D.C., speaking with practice leaders and offering live demos of the Health iPASS patient revenue cycle solution to providers committed to making fundamental and sustainable changes to the way they collect patient payments. Attending the ADAM conference this year? Stop by Booth #28 and see me to talk about strategies that can improve your patient revenue cycle and lower the cost to collect. Won't be able to make the conference? You can always see a demo of the Health iPASS patient revenue cycle solution by clicking "Schedule a Demo" below. Want to Educate Yourself on Improving Your Patient Revenue Cycle? Health iPASS Podcast and Webinars Now Instantly Accessible! As Health iPASS continues to grow as a company and demonstrate thought leadership on the patient revenue cycle, our website grows in lockstep to help bring you opportunities to learn and interact with our knowledgeable staff, partners, and industry experts. Recently, we published two new webpages under the “Resources” tab on our main site, the first to share our recent webinars on the patient revenue cycle and the second to bring you a new podcast content segment we have developed to help our community gain more insight into our innovative patient payment optimization tool and our company culture. Health iPASS webinars are a great resource for education and insight into patient revenue cycle management solutions. We have assembled Health iPASS clients, partners, and industry experts to debate and discuss patient revenue cycle strategies, tactics, and best practices that will help collect more patient payments, lower the time and cost to collect, and increase operating income. Under the Webinars tab, you will be able to download our webinars from the past year, including our most recent webinar on December 13th entitled “Getting Paid from Patients in 2019: What Works, What Doesn’t, and Why the Status Quo is No Longer an Option.” In this webinar, Joe Clark, CEO of Sierra Pacific Orthopedics; John Hornberger, CEO of the Orthopedic Center of Palm Beach County; and Eric Brodsky, Principal at Epoxy and Executive Director at Illinois MGMA discuss the current state of the patient revenue cycle and why maintaining the status quo in patient payment collection is no longer an option, as well as strategies to increase patient collections in 2019. 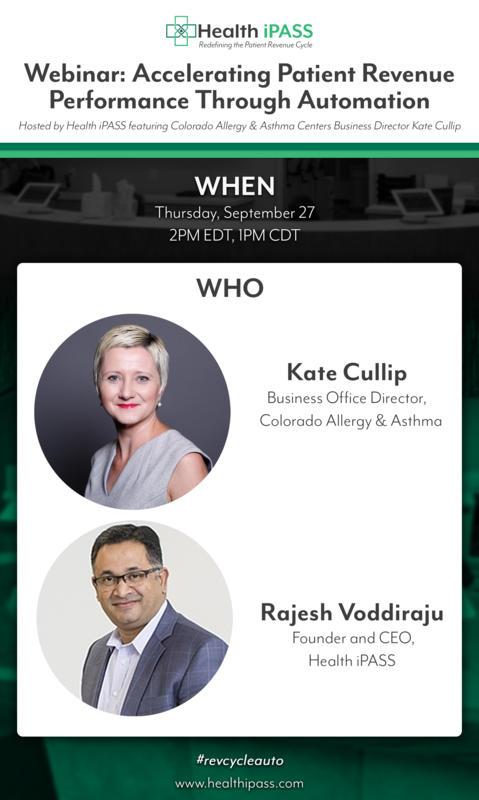 Among the other webinars included is the September 27th webinar with Kate Cullip, Business Office Director at Colorado Allergy & Asthma Centers. She and Health iPASS CEO Rajesh Voodiraju talked about how her medical practice has been able to collect more patient payments, reduce accounts receivable (A/R) and days in A/R, and lower the time and cost to collect since implementing the Health iPASS patient revenue cycle solution last year. Additionally, visitors will be able to access our one-on -one webinar with John Hornberger detailing the challenges of collecting patient payments and how patient revenue cycle technologies like Health iPASS can streamline the patient payment process and significantly improve patient payment collections. Additionally, Health iPASS has a new podcast content segment. Health iPASS podcasts will consist of interviews with members of the Health iPASS team, partners, clients, patient revenue cycle industry experts and thought leaders, and other select guests as part of an effort to help you understand more about who we are and learn strategies and best practices to help redefine your patient revenue cycle in light of heightened calls for healthcare price transparency and the rising trend of patient-as-payer. So far, we have only recorded one, but don’t worry, there are more on the horizon! • How long does training and implementation take? • What resources are required? • Who at the medical practices are most involved in the training process? • How much does Health iPASS charge for training? 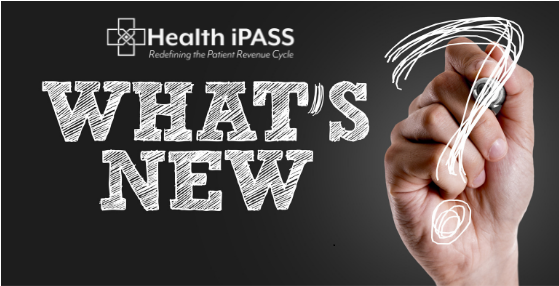 We hope that visitors to the Health iPASS patient revenue cycle website will take advantage of these new resources not just by visiting the pages, but by also downloading the webinars and listening to our podcasts. The podcast with Paul Prikazsky provides examples of how our client success team works with practices to help make the implementation of our patient revenue cycle solution as effortless as possible. Meanwhile, the webinars allow people to discover the difference Health iPASS has made for a few of our clients to improve patient payment collections and reduce the cost to collect. At Health iPASS, we help educate our community about the patient revenue cycle by providing thought leadership and educational content in addition to practical tips that can help any medical practice to collect more patient payments, reduce the time cost to collect , and increase operating income. This content is helping to spread the word about our vision while also giving real examples of how Health iPASS has worked in improving the patient revenue cycle for medical practices. Health iPASS Hosting a Patient Revenue Cycle State of the Union Panel Webinar Tomorrow, 12/13! 2018 proved to be yet another challenging year for medical providers tackling the growing risk of collecting patient payments. The surge in high deductible health plans and the sharp rise in patient out-of-pocket expenses for the cost of care over the past 5 - 6 years is catching up with practices who have maintained patient revenue cycle status quo and not proactively implemented technological solutions that drive automation and streamline workflow to more effectively collect a larger percentage of what patients owe. 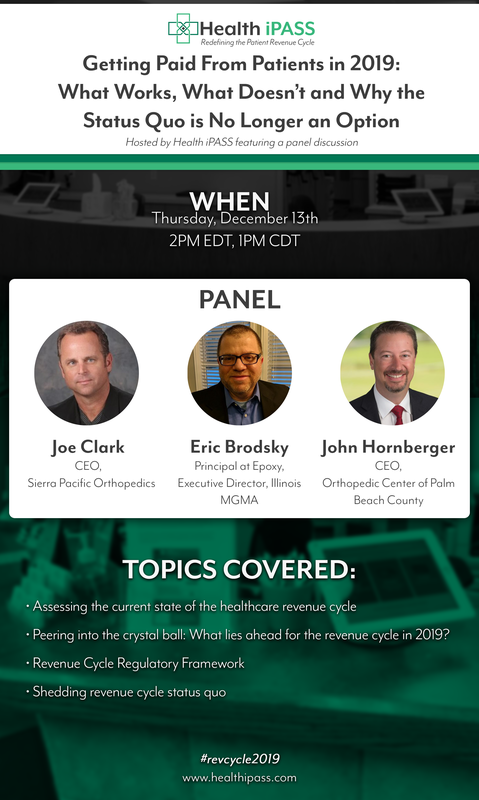 Join us tomorrow for a panel discussion webinar as we look back at some of the most important events of the past year that impacted the patient revenue cycle, discuss the current barriers that exist to guaranteeing patient payments, and forecast what may lie ahead in 2019 that could further impact the ability of medical providers to improve patient collections (*hint - it's not continuing to do business as usual). We have assembled a smart panel of medical practice CEOs and are pleased to welcome the Executive Director of Illinois MGMA to share their insight, real world experience, and prognostications of what the future may hold. The webinar will be moderated by Health iPASS CEO Rajesh Voddiraju. There are still spots open for tomorrow's panel discussion webinar on strategies to improve patient payments in healthcare, we encourage you to sign up and sit in to learn and ask questions. We will be recording the session and distributing it to anyone who signs up to attend. Please share with a friend or colleague who you feel could benefit! We hope to see you tomorrow for the webinar! Relationships are important in any place of business. While we here at Health iPASS continue to form good working relationships with many medical practices around the country to help optimize their revenue cycle management and collect more patient payments, one of our most important relationships is not with a client at all. Health iPASS is a member of Matter, a healthcare incubator located in the Merchandise Mart in downtown Chicago. 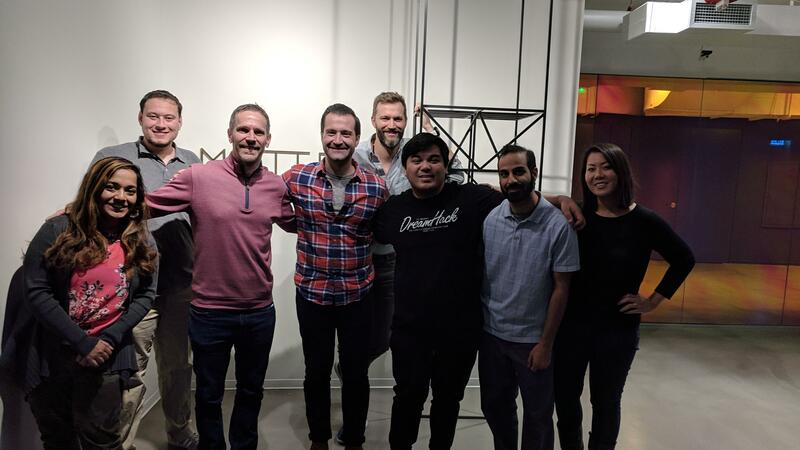 Matter is a Chicago-based healthcare incubator that assembles the brightest minds in health IT across the world working in every sector of healthcare: digital health, biotechnology, diagnostics and therapeutics. According to its website, in order to become a member of Matter, a company must be attempting to solve a meaningful healthcare problem, have the right entrepreneur or team in place to be successful, and have a compelling business strategy that Matter can help accelerate. Over 300 healthcare companies, including Health iPASS, have met these criteria and are now members. There are several advantages that come with a Matter membership. Matter provides companies with a network that connects entrepreneurs with active investors and decision-makers from all different areas of healthcare. Getting feedback early on can often make or break startups, so Matter has mentorship programs for entrepreneurs, connecting them with some of the experts in the healthcare industry. Several Health iPASS staff members participate in the mentoring program to help others understand the most important aspects of working in the healthcare revenue cycle management ecosystem. Additionally, Matter provides educational workshops as well as a host of seminars and events throughout the year. Our Venture Acceleration program helps startups build financial models, speed product development and raise capital. They also do not take equity in any of the startups they support. This allows Matter to provide companies with a neutral, unbiased approach toward improving our community members. We became a Matter member because we want to be a part of the vast Chicago health IT landscape. As experts in helping medical practices redefine patient revenue cycle management , we knew that our membership would positively contribute to our evolution as a market leader. In September 2017, the Health Care Council of Chicago (HC3) reported that healthcare comprises $69.7 billion, or 12.2 percent of Chicago’s economic production, making Chicago a major hub for the healthcare industry. Chicago also has a plethora of resources and incubators, like Matter, that help entrepreneurs gain capital and promote their brand. Being a Matter member has enabled us to exchange ideas and secure unbiased opinions and advice on our mission, what we do, and how we can improve upon what we have already built. Additionally, We have become more involved in collaborating with many of the healthcare leaders at Matter. We have become more active and engaging participants in the group, sharing our own wisdom and knowledge on revenue cycle management with the Matter community. The collaborative environment has been beneficial for all involved. It has given us the ability to share ideas freely and easily, while also knowing that we are getting fair and honest feedback from some of the area’s premier healthcare professionals. Chicago is a major healthcare hub and we are taking advantage of resources like Matter in order to leverage the knowledge and expertise of a diverse community. By seeking assistance and collaborating with some of the brightest minds in healthcare through our membership with Matter, we have been able to share our vision with several healthcare individuals and increase our footprint in the Chicago healthcare market and beyond. Matter might not be a big-name client, but through our membership, we are continuing to see how we can improve and refine our patient revenue cycle management solution as the market evolves. We hope that you can join us today at 2pm EDT for a special webinar on the value of automating your patient revenue cycle to accelerate positive performance. We are pleased to be co-presenting today with Kate Cullip, Business Office Director at Colorado Allergy & Asthma Centers who has been using the Health iPASS check-in and patient revenue cycle solution since April of 2018. If you’ve checked out our newly rebranded website, you might have seen the bio of our founder and CEO Rajesh Voddiraju. To quote his site bio, “Rajesh is smart. Really smart. So smart that we now have a jar where we drop $1 every time we learn something new from Rajesh. The jar has to be emptied once a week.” There is no doubt that we here at Health iPASS recognize Rajesh as an amazing source of information and insight about the financial side of the healthcare industry. That’s why we recently asked him to share some of the top ways revenue cycle management will be changing in the coming months. This week, we are focusing on the first of these predictions. Even though we are still in the dog days of summer, signs of fall are already starting to manifest all around us. In stores, aisles of pool floaties, grill accessories, and sunblock are being replaced with school supplies. Swimsuits, shorts, and tank tops are on clearance. Before we know it, we will be enjoying football season, drinking cider, and raking up leaves. Fall, (especially late fall) is also the season for patients to decide to finally have those elective procedures they have been thinking about. According to a recent analysis of claims data by Amino, nearly 30% of patient interactions for some elective procedures occur in October, November, and December. Perhaps now is the time to consider putting an effective patient revenue cycle management (RCM) tool in place before the scheduling of elective procedures even begins. You care about your patients. That’s why you became a medical provider. Whether the elective procedure you’ve recommended is medically necessary or not medically necessary, the recommendation was made in the best interest of the patient. Price transparency is the key to encouraging patients to follow through on your advice. When patients know what to expect regrading costs, they can budget and save for the upcoming expense. The good news is that providing cost of care estimates can be so much easier than you think when you choose the right patient RCM solution. 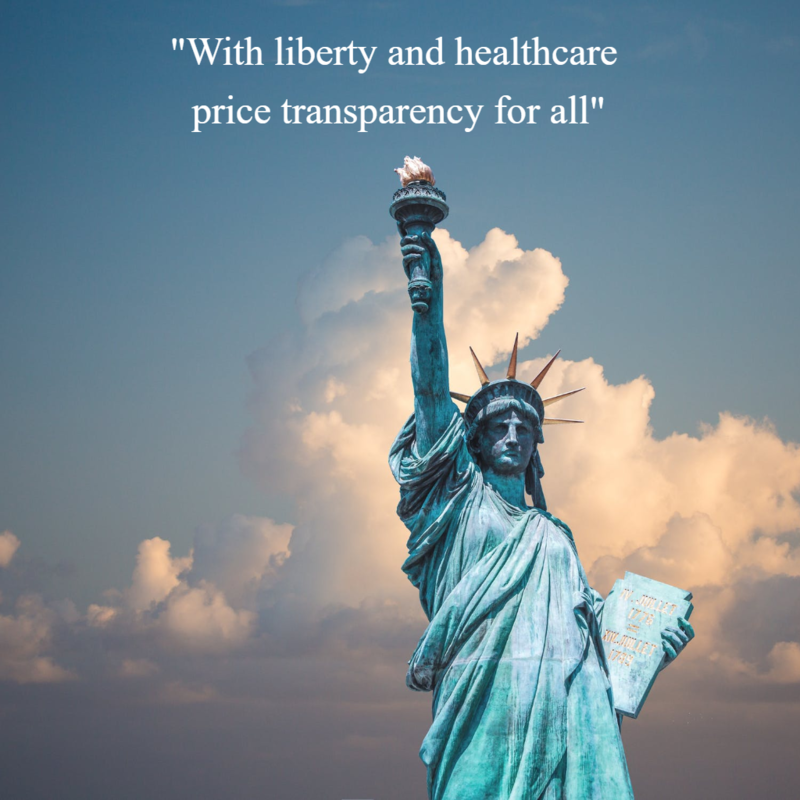 Health iPASS is leading the charge towards greater healthcare price transparency with our cost estimation tool that can provide valuable post-insurance adjudication estimates pre-arrival, at the time of service, at the time of the claim, and pre-surgery. Being honest and upfront about pricing with patients builds trust and ultimately leads to higher patient satisfaction and better health outcomes over time. 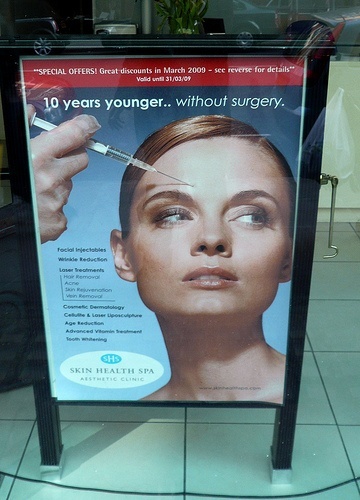 For lower-cost elective procedures that insurance does not cover, such as Botox, many providers routinely collect the full treatment cost at point-of-service. This same payment model could be adapted to fit insurance eligible, higher-dollar procedures and surgeries by providing pre-visit and pre-surgery cost estimates, asking for a pre-service deposit, and keeping a payment-on-file for post-adjudication residual balances. Guess what? Lightening does strike twice! 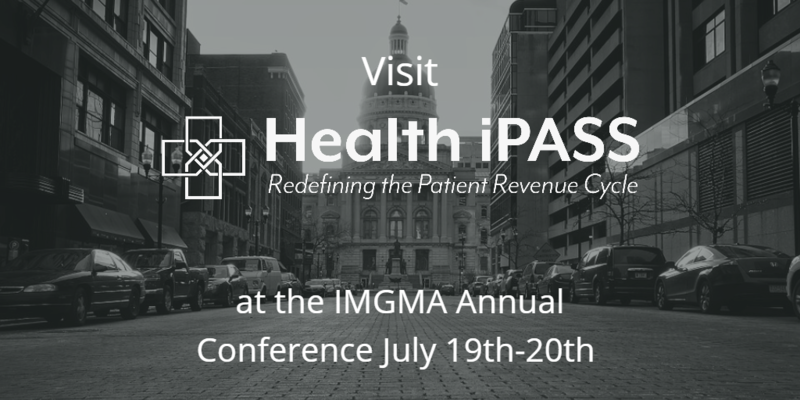 After a successful Illinois MGMA conference this past weekend in Naperville, IL, Health iPASS is thundering back again July 19-20 at the Indiana Medical Group Management Association (IMGMA) Annual Meeting at the beautiful French Lick Resort in French Lick, IN. The reserved block of rooms is fully booked, so it appears people are looking forward to attending! You are a small to mid-sized dermatology practice, just trying to make your way in the world. Lately, you’ve found yourself in the middle of a revenue cycle jungle. The daily frustrations are driving up your emotional temperature and the stress is clinging to you like a wet blanket. You are struggling to work with multiple payers, and the claims denials keep coming at you like mosquitos, sucking the income away from your practice. The idea seemed simple. Create a medical insurance group and establish a network of care rendered by doctors and other professionals who have agreed by contract to treat patients in accordance with the medical insurance group's guidelines and fee schedules. Stay inside the network and associated medical fees are covered. Go outside the network and risk facing pricey medical bills that the insurance company won't cover. Simple in concept yes, but as managed care evolved in the U.S. and cost containment initiatives became more complicated to administer, many doctors and providers began to drop from managed care networks in favor of more lucrative payer models, but this created even more reimbursement complexities and confusion.